BAYSVILLE, ON – Lake of Bays Brewing has announced details of its newest beer release. A little breezy, a little bold, this New England IPA offers up a warm golden haze, anchored with a big juicy nose. Strong citrus flavours and Mosaic hops will be sure to steer you on the right course. 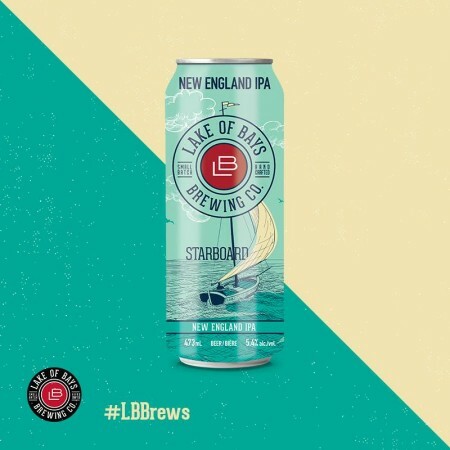 Starboard is available now in 473 ml cans at the Lake of Bays retail store and select LCBO locations.